Well, I have to admit that I was very reluctant to read this book, and I was highly skeptical when I finally started to read. Comments like "boring", "slow-paced", "character driven", or "it's so long" crossed my mind and corrupted the oh so appealing synopsis. So, in the beginning, I was firmly convinced that I wouldn't, couldn't like this book. I was wrong. Boy, I was so frakking wrong. Book and I, we had a rough start. Kind of. There was something with the writing that got me on the wrong foot. It might be a stylistic device to reiterate the same phrase, but reading it several times on not even 20 pages can be kind of annoying. Furthermore it took me quite a few pages to get into the story. And then... all of a sudden I was hooked without even being aware of it. I don't know when it happened, all I know is it just did. Because at this point the characters already occupied my mind and my heart. And when I say characters I mean the most awesome protagonists I had the pleasure to read about in a long time. Guys who are great if not awesome you can find at every turn (I'm exaggerating a bit, but that's okay ^^). But it's so seldom that you find guys who fall in the 'most awesome' category. The best part? All of the protagonists fell in that category. Every single one, both main character and secondary character. All of them are well developed and so refreshing. No stereotypes, despite outward appearances. Yes, the author made use of common figures, but on closer consideration they were far from being common. She gave them their own voice, their own mind, their own personality. She created deep, complex characters who are so much more than you can see in the first place. That's why it's great that Katja Millay took her time to introduce supporting protagonists like Drew and Clay, and usually I don't like books focussing on side characters. In this case, however, I was happy to read so much about them, since they were actually important to the story and quite likeable. It was so easy to fall in love with them. As for Nastya and Josh, wow, I have no words to describe how these broken, scarred figures made me feel. It's rare that I have nothing to complain about the MCs, but I cannot think of a single thing to criticize. Well, at one point Nastya made a decision I wanted to strangle her for, yet I understood why she did it. The same for Josh. Speaking of Josh, well, he's just wonderful. Caring, honest, a great friend. I think he has ruined me for all future book boyfriends... Seeing his loneliness and learning about his story nearly broke my heart. “I believe in God, Sunshine. I’ve always believed that God exists,” he says. And what he says next isn’t self-pity or angst or melodrama. It’s truth. My name is Nastya Kashnikov. I was a piano-playing prodigy who doesn’t belong anywhere near an Intro to Music class. I was murdered two and a half years ago. It was beautiful to read how the relationship between the two of them developed, despite (or maybe because) the crosses they have to bear. - from the first "we ignore each other" to friendship to the big bang. There was no insta!love; there was get to know each other, there was gentle approaching. There was talk and silence. There was shyness, reluctance, and straightforwardness. It wasn't forced or rushed, it was slow, innocent, and just came into place. It felt so real. It hit me right in the feels. This book made me laugh, it made me angry, it confused me, it made me swoon, it made me wanna destroy something, it made me wanna hug something, it broke my heart, it made my heart swell with joy. And it brought me to tears, oh so many tears, happy tears and sad tears. The last 12 chapters or so I couldn't stop crying to save my life. And then there was the last page, there were the last two words, and my mind went blank. For a moment I couldn't comprehend what I just read. And then I smiled, because the ending wasn't really all sunshine and roses, but it was perfect. Yepp, I was smiling with tears in my eyes and goosebumps from head to toe. With the last two words things have come full circle. Since I don't want to spoil anything, I can't say more, but anyone who read this book knows what I mean (at least I hope so). In spite of the comparatively complex story, The Sea of Tranquility was easy to read. The writing wasn't flawless, but beautiful and rich. It sucked me right in. Moreover it was nice to have a book that could do without overused phrases like "released breath she didn't know she was holding", or "bit her lips until she draw blood", and, to top it all off, it was almost free of hackneyed clichés. Sometimes this story was like a fill-in-the-blank text. I was like there was something missing. Explanations. Reasons. The whys and wherefores. And it should have bothered me. It should have made me angry. But it didn't. Oddly enough, I didn't mind it at all. I loved that I had to read between the lines. And in the end it all made sense anyway. I'm utterly in love with this book. It's like it was written just for me ^^ Once in a while I was reminded of Novels by Melina Marchetta Novel – in an absolutely good way. I adore MM’s books, and The Sea of Tranquility was similar in quality. Finally I want to come back to the comments which made me so skeptical; "boring", "slow-paced", 'character driven", "it's so long". Boring: Nopes, this book wasn't boring. Not at all. Especially in the beginning doesn't happen that much, granted, but still there's so much going on, there's so much subtle suspense it can't get boring. Someone who just goes for a shitload of romance, however, might find it lame, though. Slow-paced: Oh yes. But I didn't mind it at all. Because in this case, slow-paced is not to be compared to boredom. The story progresses in right the perfect pace. It's so long: Well, this book is long, but not nearly long enough for my liking. I just wanted to read on and on and on. The last chapters I read extra slow to prolong the inevitable. I didn't want this book to end. 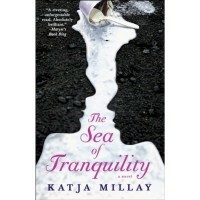 Now I only can hope to read more from Katja Millay that is as amazing as The Sea of Tranquility. 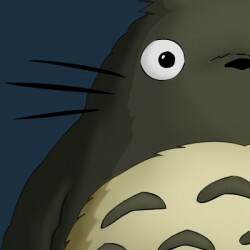 Five Stars/Totoros for this outstanding masterpiece. So far it's my highlight of the year.